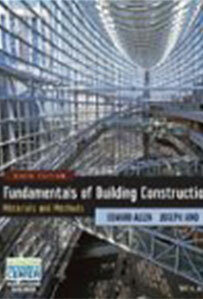 Introduces basic materials and methods used in construction. Topics include: physical and chemical properties; the manufacturing process of various material and methods and the way they are implemented in a construction project. Div 1 to 5 of the Masterformat. Identify the various parties involved in the construction process. Identify the role of and the requirements of the codes and standards process. Identify construction materials from the first six divisions of the MasterFormat and allocate them according to standard practice grouping. Understand the chemical and physical make-up of some basic construction materials. Identify basic methods of fabricating and installing these basic construction components. Understand the sequence of installing these basic components with a view to authorities having jurisdiction. Interested in being notified about future offerings of BLDC 1050 - Materials and Methods 1? If so, fill out the information below and we'll notify you by email when courses for each new term are displayed here.